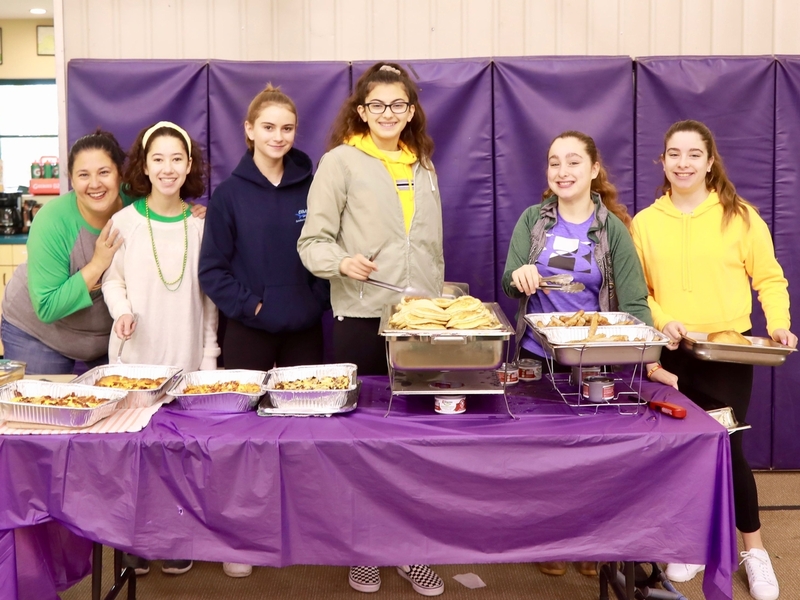 Gooden's student council held its traditional Shrove Tuesday pancake breakfast March 5. This annual event, marking the beginning of Lent, brought the whole community together to celebrate. The students cooked and served pancakes and other breakfast foods to their classmates, family, and friends. The event raised funds for those affected by the devastating California wildfires. On September 27, The Gooden School was visited by Rabbi Joshua Levine Grater, executive director of Friends in Deed in Pasadena. During the school’s bi-weekly chapel, Rabbi Joshua spoke to Gooden students about the school’s three Rs (Respect for Self, Respect for others, and Respect for the World) from the Jewish tradition. Drawing from the scripture for the day from the prophet Isaiah (58:6-8), Rabbi Joshua talked about the season of Yom Kippur, a time of repentance and reflection for the Jewish community. A significant part of that reflection calls the people of God to love and serve the neediest among us and to recognize people’s humanity. “Sometimes just making eye contact and saying hello to someone who is homeless or in need, in a safe way, goes a long way,” said Rabbi Joshua. The Gooden School has had a longstanding partnership with Friends in Deed. Students engage in service-learning projects, including raising food for the organizations' food pantry, to support Friends in Deed’s work with the most vulnerable members of our society. After chapel, the school was able to present a check of $1,200 to Rabbi Joshua thanks to Middle School students spring Market Day. At Market Day, Gooden students created small businesses and developed, marketed, and sold products to their fellow students, friends, and families. © 2019 The Gooden School. All Rights Reserved.